Note: full conference registration does not include registration for the MDH pediatric pre-conference (Thursday, January 26) or the President's Reception (Friday, January 27) evening, please register separately if you plan to attend those events. Note: full conference registration does not include registration for the MDH pediatric pre-conference (Thursday, January 26) or admission to the President's Reception Friday evening. Please register separately for those events. Register now for UMAC 2017! 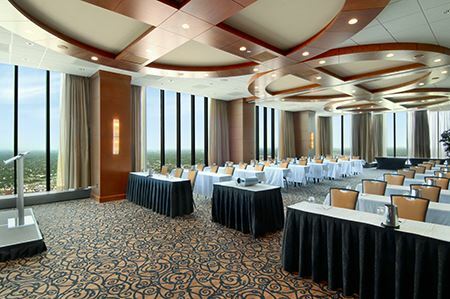 January 26 pre-session and January 27-28 conference at the beautiful Windows on Minnesota. Special room rates begin at $149 per night. Reserve yours by January 4, 2017 to get the discounted pricing. Be sure to register separately for the MDH Pediatric Pre-session. Free parking available when you register for either the pre-session or the full conference.